Educator and entrepreneur, Laura Kebart, describes how her dedication to fitness and passion for education combine to create a life full of creativity, healthy activity, and service. 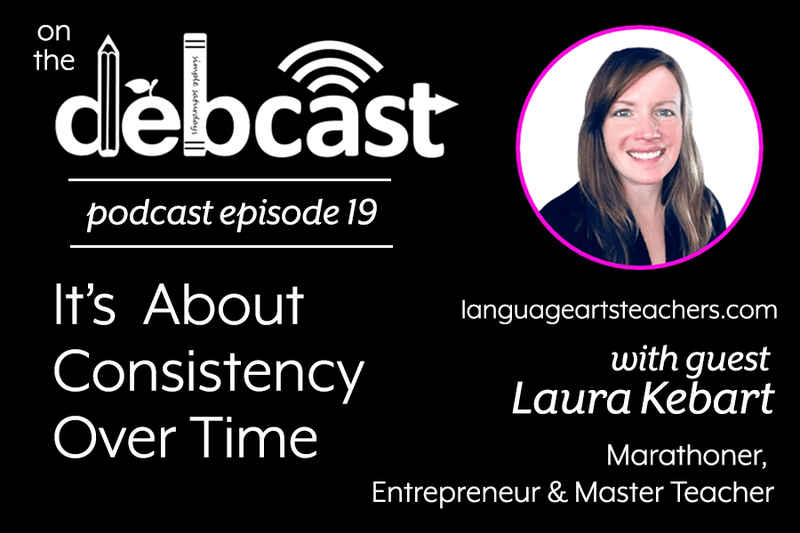 Laura shares that the secret to the establishment and achievement both athletic and professional goals is consistency over time. Laura’s lifetime commitment to marathoning serves as the inspiration for all that she does - personally and professionally. Languageartsteachers.com is a website and small business created by Laura Kebart, a certified (grades 6-12) middle school Language Arts teacher and M.Ed. dedicated to helping educators teach awesome lessons each day of the school year while still having a life outside the classroom for both themselves and their families. Laura has spent nearly 20 years teaching English / Language Arts to grades 6-12 AND as in instructional coach. Now she serve super-crazy-busy Middle School ELA teachers who are sick to death of sacrificing their personal / family time prepping for class.